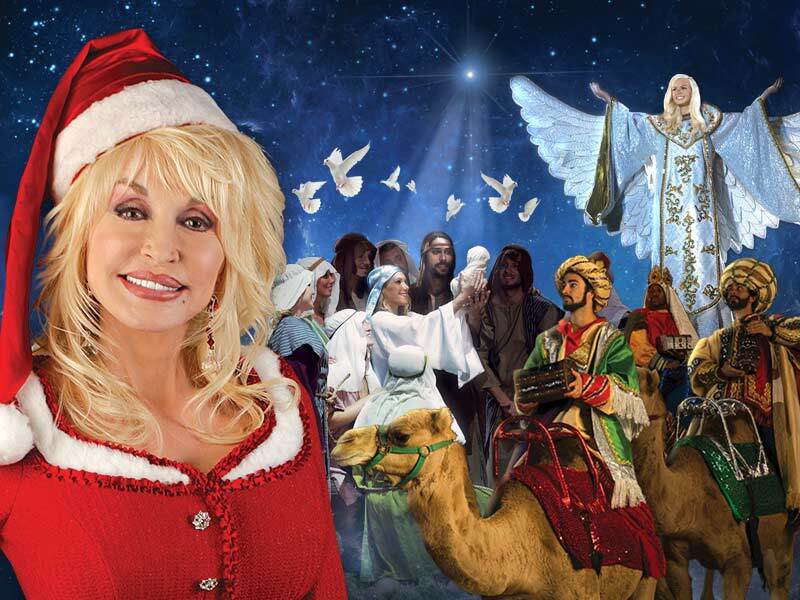 Christmas comes to life at Dolly Parton’s Dixie Stampede in Branson, MO and Pigeon Forge, TN! When Christmas at Dolly Parton’s Dixie Stampede Dinner Attraction opens Oct. 27, the action-packed family fun show will transform into a beautiful holiday spectacular. Folks who experience Christmas at Dixie Stampede (Oct. 27- Dec. 31, 2016) will be amazed at the complete show makeover including a full-scale living Nativity, holiday adornment, seasonal music, a Santa Claus sighting and a four-course feast. The “high-spirited adventure” of Dolly Parton’s Dixie Stampede Dinner Attraction receives a festive twist for the 2016 holiday season with the magnificent sights and sounds of Christmas, including a full-scale living Nativity, holiday decorations, Santa Claus and a fabulous four-course Christmas feast. The Christmas show at “The Most Fun Place to Eat in the Smokies” debuts Nov. 1 and runs through New Year’s Day. Annual Children’s “Whoadeo” at Dixie Stampede set for Oct. 1. Dixie Stampede in Branson, MO, and Pigeon Forge, TN, are hosting their annual “Whoadeo” on Oct 1. Each location’s fun-filled children’s event features exciting games, activities and Stick Horse competitions. In Branson, MO, the fun starts at 10 a.m. on Saturday, Oct. 1 and continues until 1 p.m. It’s your chance to ride in Dixie Stampede’s arena as part of the “Whoadeo” Stick Horse Rodeo plus experience interactive exhibits, games and lots of surprises…All FREE! 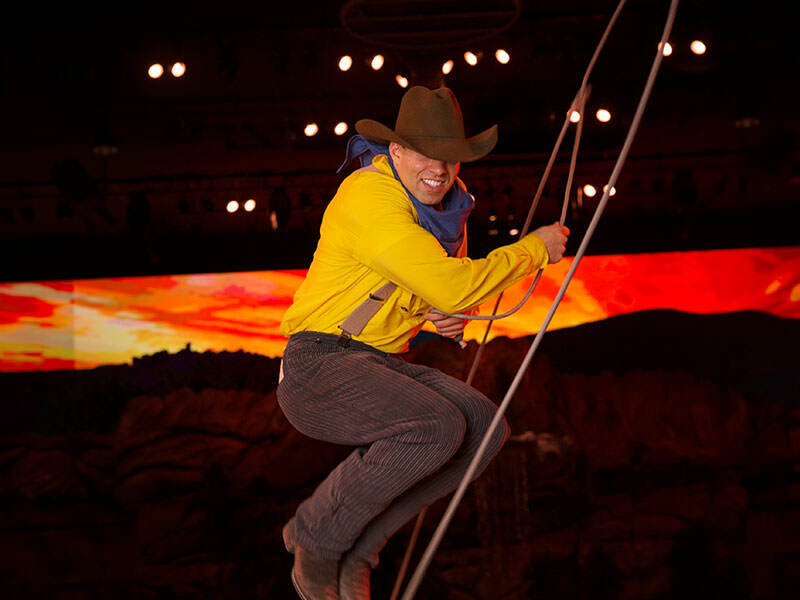 Learn more about “Whoadeo” at Dixie Stampede in Branson, MO or call 417-337-9400. In Pigeon Forge, TN, activities include stick horse competitions, a parade of horses, and costume contests in the Dixie Stampede arena and a free outdoor carnival from 8:30 a.m. to 1 p.m. 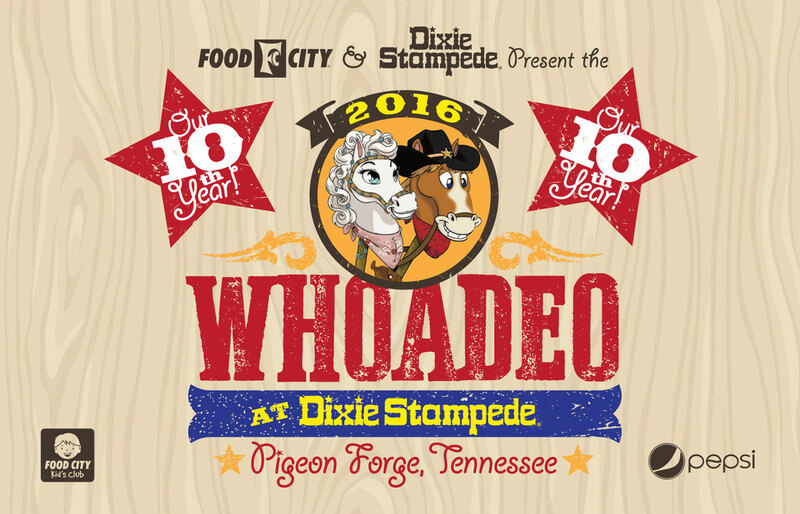 Learn more about “Whoadeo” at Dixie Stampede in Pigeon Forge, TN or call 1-800-356-1676. Dolly Parton loves creating new ways for families to make lifelong memories together and this year is no exception! The High Spirited Adventure continues at Dixie Stampede in Pigeon Forge, TN. The talented cast is eager to entertain guests of all ages with their friendly North and South competition. Exciting sights and sounds including breathtaking scenes shown on a 12.5 million LED wall continue to delight audiences. More Fun Coming In May! Dolly also plans to open an all-new show in May. Dolly Parton’s Lumberjack Adventure Dinner & Show, in Pigeon Forge, TN, promises the same level of entertainment as Dixie Stampede, giving families more opportunities to make lasting memories together. Dixie Stampede fans visiting the new show can expect a hearty feast large enough to feed a lumberjack’s appetite. Follow Lumberjack Adventure for the latest news. Dolly Parton’s Dixie Stampede and The Dollywood Company donate $500,000 to make the new Pigeon Forge Boys & Girls Club of the Smoky Mountains a reality. Dixie Stampede and The Dollywood Company each donated $250,000 toward the project during the groundbreaking ceremony for the new facility on Thursday afternoon. 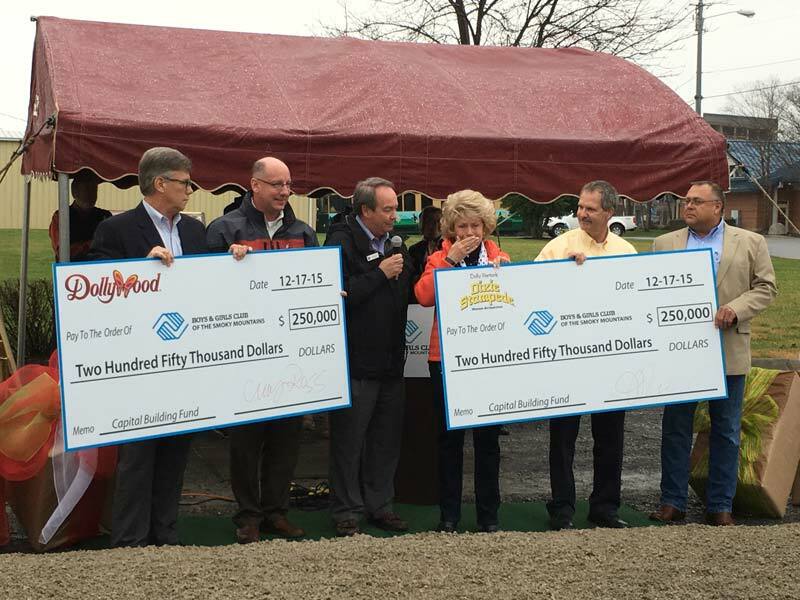 The Boys & Girls Club of the Smoky Mountains has received an outpouring of support from the local community, but the donations from Dolly Parton’s Dixie Stampede and The Dollywood Company helped push the Club beyond its goal of raising $2 million for the new facility. Read the full press release at DixieStampede.com. 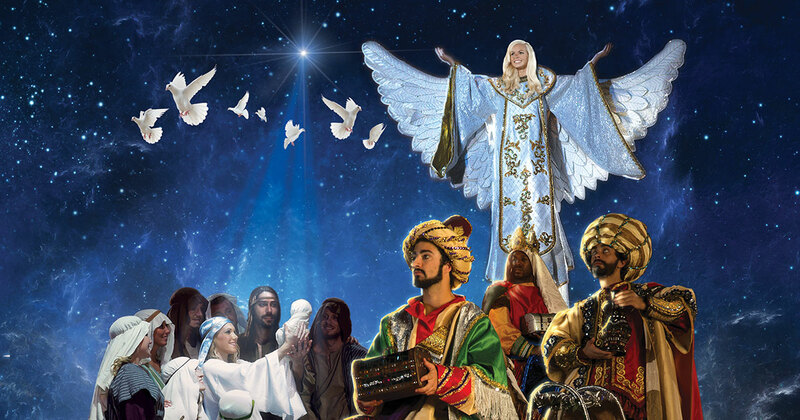 Christmas at Dixie includes a LIVE Nativity scene, reminding guests of the reason for the season, as Mary and Joseph watch over their newborn child, Jesus, while wise men riding camels are led to the stable by a bright and shining star. The Christmas at Dixie show schedule kicks off on Tuesday, Nov. 3, and runs through Saturday, Jan. 2, 2016. Reserve tickets to Christmas at Dixie online or by calling 1-800-356-1676. For more information on Dixie Stampede’s new Christmas Adventure visit DixieStampede.com.